I know what you’re thinking: I can…not….eat….one….more….zucchini. Or maybe it’s more like Please dear God make them stop! Or perhaps you’re wondering how you can use the next giant zucchini you pick as a weapon against all the other invading zucchinis. At any rate, you’re probably done with zucchini. No seriously. I know you’ve grilled it, stirred it into soups, stacked it on sandwiches, mixed it into pasta salads, and even tossed it with quinoa, but there’s one more recipe you simply must try. Muuuuuuuuuust try I tell you! 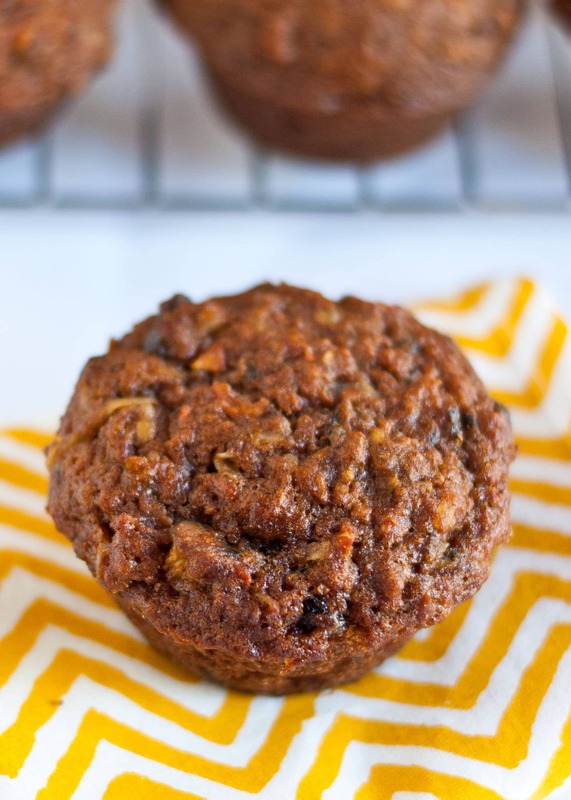 These Citrusy Zucchini Muffins are unlike any other zucchini bread/muffin/cake I’ve ever had. Usually zucchini breads are dense and loaded with spices. I like those recipes. Really, I do. But guys. This recipe BLOWS THEM OUTTA THE WATER. These muffins are light and fluffy with a perfect tender crumb. There’s not a speck of spice in them. Instead, lemon and orange zest adds a bright, fruity note to the muffins that is super refreshing and summery. The batter smells amazing, so of course I just had to dip a finger in to give it a try. Let’s just say, I only got 23 baked muffins out of my double batch. Whoopsies! These can easily be adapted to fit your tastes. The original recipe calls for lemon zest and raisins, but I’ve also made them with orange zest, and I actually like to swap cranberries in for the raisins. You can make them with or without nuts. This recipe comes from The King Arthur Flour Baker’s Companion , and it is a perfect example of why I love this cookbook. It’s full of comforting classics like crumb coffeecake and flaky biscuits, but it’s also got new takes on old favorites, like these zucchini muffins or apple and cheddar stuffed french toast. It’s got everything you can possibly think to bake–muffins, pancakes, baguettes, croissants, cake, pies, cookies, donuts, and scones. Plus, sprinkled throughout the cookbook are tons of helpful tips explaining the methods and ingredients for recipes. Each recipe comes with a thorough nutritional evaluation, a brief description of the recipe, and suggestions for serving. My copy is filled with dog eared pages and grease stains–the signs of a cookbook well used and well loved. This is truly one you’re going to want to make room for on your bookshelf. Luckily, one of you will have the chance to win a free copy of The King Arthur Flour Baker’s Companion with today’s giveaway! So here’s how you enter. This fancy little contraption below is called a Rafflecopter. It shows you all the ways you can enter to win the contest. First, you’ll have to either sign in with Facebook or enter your name and email address. It doesn’t matter which way you choose, it’s just personal preference. Next, leave a comment on the blog. Tell me what you’d like to bake from the King Arthur Flour Cookbook! Come back to the Copter and click +1! Boom! You’re entered! If you’d like to earn more entries, you can like Neighborfood on Facebook or Twitter and like King Arthur Flour on Facebook or Twitter. If you’re already doing all of those things, just hit +1 next to each of them! The giveaway will close on Monday, August 5th at 11:59 PM and the winner will be emailed on Tuesday and announced on the blog and Facebook as soon as it’s confirmed. Unfortunately, this giveaway is only open to U.S. residents. Oooo! And one other special bonus! The winner of the cookbook will also receive a coupon to get a free bag of King Arthur Flour from a grocery store near you. Coupon or not, I highly recommend you check out their products. I personally use and love their unbleached all purpose flour, white whole wheat flour, and bread flour. They’re free from bleaching and artificial enhancement and deliver consistent, dependable results every time. And their products go beyond flour to all sorts of baked goods–cocoa, vanillas, yeast, even sprinkles! The Mr. is a big fan of their chocolate jimmies–he’d put them on everything if I let him. So check them out, and be sure to sign up for their newsletter if you want baking tips and recipes delivered right to your inbox. And guys? I just want to say thank you. This blog has been such a blessing in my life, and it’s all because of you! I treasure each of your comments and absolutely love hearing from you, whether here on the blog, on Facebook, or on Twitter. Thank you for reading along, commenting, sharing feedback, and putting up with all my craziness. I wish I could give you all a big fat hug! You’re the best! Preheat the oven to 400 degrees. Grease a 12 cup muffin tray. Place cranberries in a 1 cup measuring cup and cover with warm water. Let sit for 10 minutes then drain and squeeze excess water out with a paper towel. Meanwhile, whisk together the flour, sugar, baking powder, salt, and lemon zest in a medium sized bowl. Stir in the walnuts and cranberries. In a small bowl whisk together the eggs, milk, and oil. Make a well in the center of the flour mixture and pour the wet ingredients in. Use a wooden spoon to gently stir the batter until barely combined. Gently fold in the zucchini. Spoon batter into muffin cups--you'll fill them nearly to the top. Bake for 20-25 minutes or until tops spring back when touched. 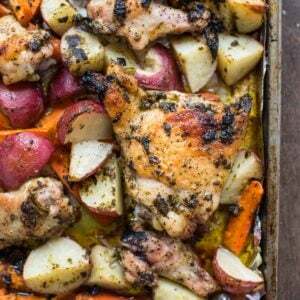 Remove from the oven, cool for 5-10 minutes, then turn out of the pan to finish cooling. Morning Glory Muffins– Hands down my favorite muffin of all time. 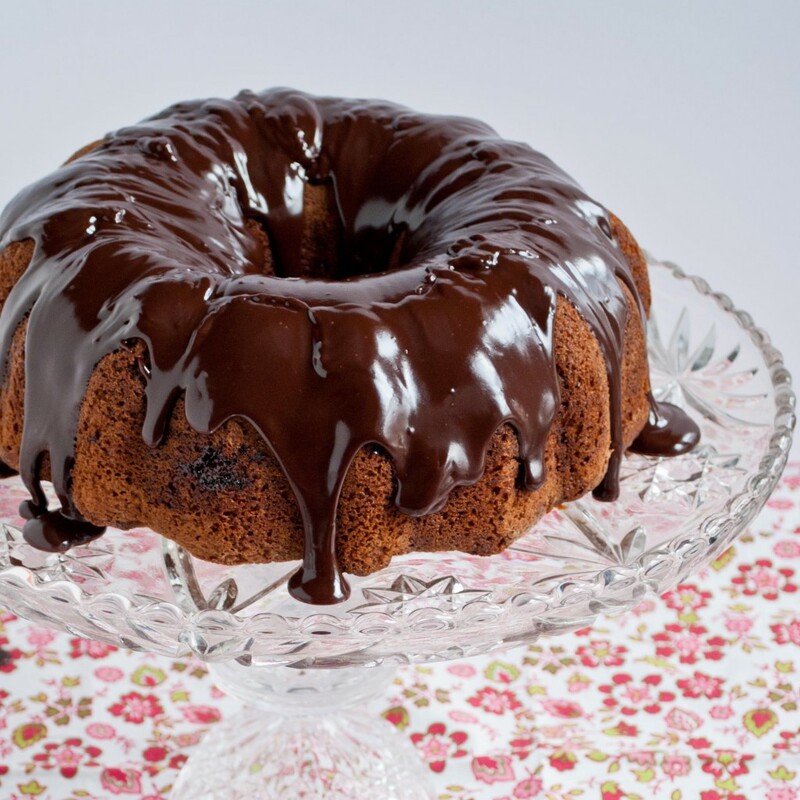 Banana Split Bundt Cake– Moist banana cake with a rich chocolate glaze and swirls of chocolate and strawberry throughout. Um yeah, it’s a pretty good idea. 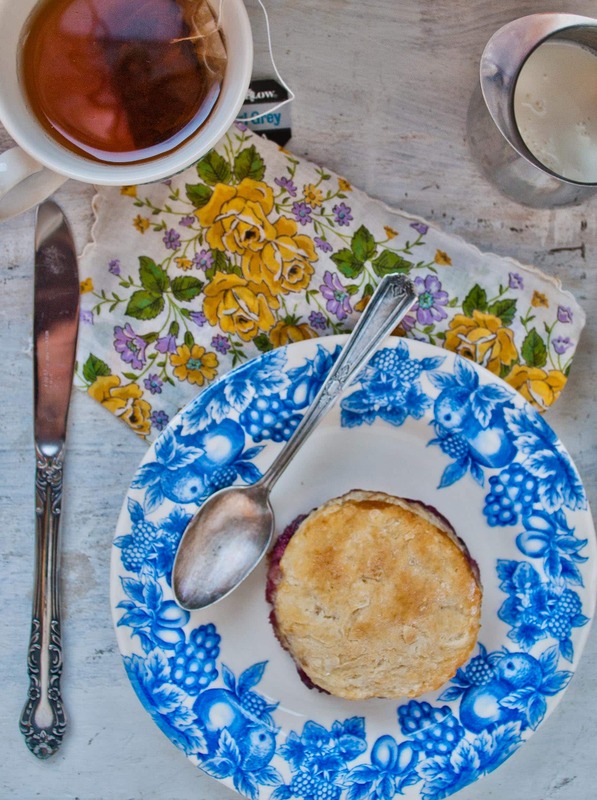 Cream Tea Scones— I made these for a Downton Abbey viewing and loved them. I usually have trouble with scones being too crumbly, dry, or bland, but these were the perfect texture. And finally, my favorite chocolate frosting, found on these Double Chocolate Cupcakes. I would love to make the morning glory muffins! I haven’t seen the contents, but would like to make scones. I would make a something with all the peaches and blueberries I have right now. love to make the banana split bundt cake! I would be making the Banana Split Bundt Cake. I would like to make scones. Would love to make the Morning Glory muffins! I”m so glad you like it and glad you stopped by! Soggy zucchini bread is so disappointing! I hope this one is a success! Double chocolate cupcakes of course! The double chocolate cupcakes definitely! I’m loving the look of those Morning Glory Muffins! The morning glory muffins look fantastic! I’d also want to try the maple cornbread. Gotta be the double choc cup cakes!! I’d love to make any sort of spiced muffin!! i love love love kaf! i think half of my kitchen is outfitted through them, lol. i especially love their fiore de sicillia flavoring-yum 🙂 if i win, i think the first think i will bake is a good ciabatta bread. thanks for such a yummy and useful giveaway! Oooo! I’ve never tried that flavoring before but it sounds amazing! Will have to add it to my list! I would work my way through that book, starting off with breads. If I won the cookbook I would go right to the cake recipes. Lots of family birthdays coming up!! I’m sure all the recipes in the book are fantastic. I’d probably start with a cake or muffins! These muffins look pretty awesome, and since I am up to my ears in zucchini, I’ll prob be trying it out very soon! Thanks Ashley. Let me know how you like them! I would bake cakes and muffins. I’d make the Banana Split Bundt Cake! No idea, but it’d be something with chocolate! 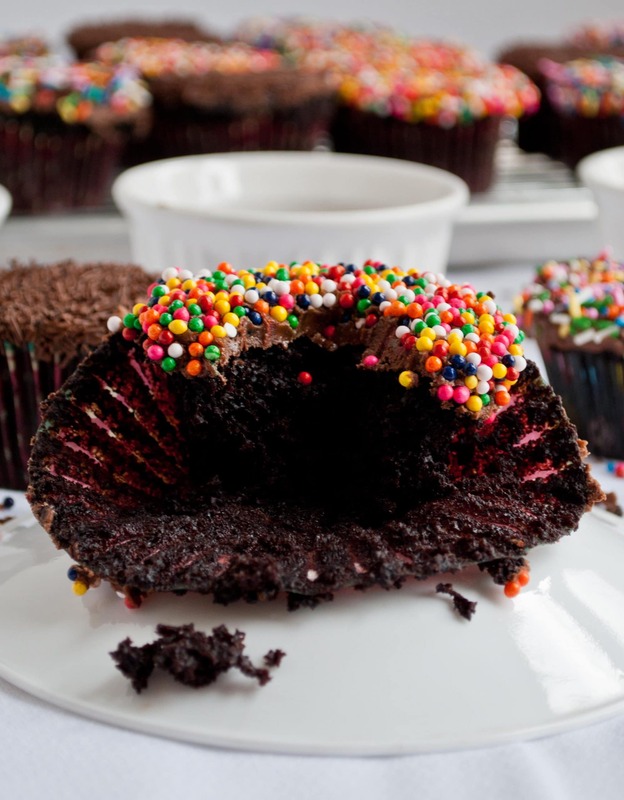 I would love to make the Double Chocolate Cupcakes. I’d like to start making cake from scratch and King Arthur seems like the place to look first. It’s a great starting place. Definitely check out their blog as well. They offer recipes and all kinds of helpful baking tips. used to live in Norwich, VT and Loved going into the King Arthur Flour store! One of the things I miss most about VT. 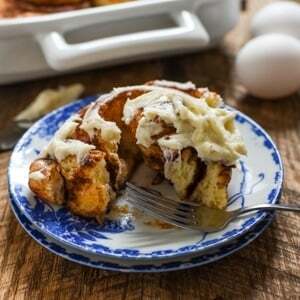 I like to make anything but the banana split bundt cake sounds seriously yummy! Someday I would love to take a foodie vacation to VT and visit KAF and Ben and Jerry’s! I’d bake muffins and coffee cakes. I’d bake cookies, cakes, cupcakes, and breads. I’d make an apple pie!